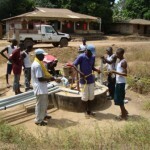 The Water Project has been active in Port Loko District and Waterloo, Sierra Leone, since 2010. Since inception, our program has focused on water provision, robust hygiene and sanitation training, Child Health Clubs and innovative sanitation facilities at institutions. We’ve watched Child Health Clubs lead community health trainings to slow the spread of disease during cholera outbreaks. Communities have mobilized around their own sanitation because of the impact they have seen from school sanitation facilities. Faith communities have found relationship, purpose and partnership in work benefitting the common good of the area. Clustering of past work, strong coordination with multiple country Ministry offices, desperate need for reliable water service and the absence of other NGOs led The Water Project and our partner to narrow our geographical focus in 2014 to Port Loko District. Port Loko District is approximately 2,208 square miles and is home to over 500,000 people. The Water Project’s focus is now expanded to new boreholes in areas where previous water projects are not enough to keep up with community demand for water service. 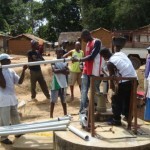 We continue to rehabilitate wells. Our anchor into communities continues through the faith community, community led hygiene trainings and Child Health Clubs. After other water NGOs pulled out of Port Loko District, The Water Project spent a good part of 2014 working to co-develop a responsible monitoring program for those past projects, as well as our past work. 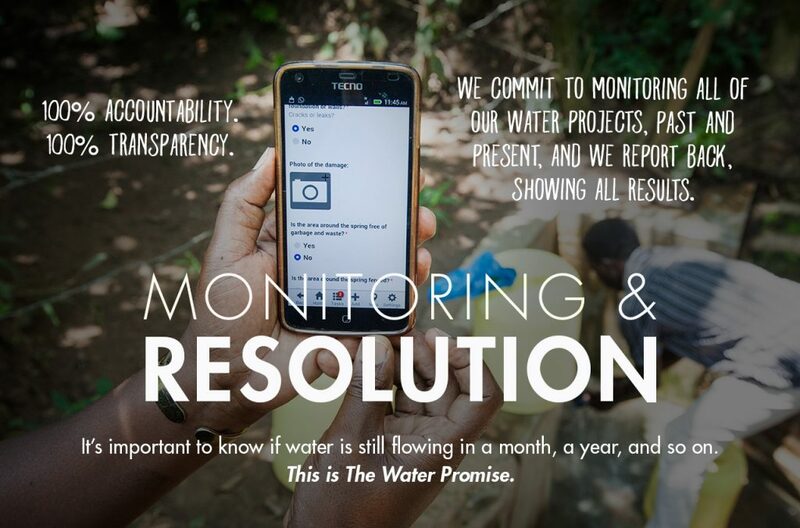 In addition to the new work we’re involved with this year, we’re equally as excited to tangibly and provably express our commitment to ongoing community support and service through a Monitoring & Evaluation Program focused on 100 existing water points and their supporting communities. Together with communities, we’re focused on functional water projects resulting in reliable water service. 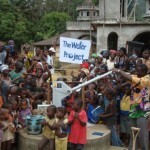 Well rehabilitation is one of the most cost effective ways to bring clean, safe water to a community. Sometimes it involves fixing a broken hand pump, other times it means sealing a hand dug well to prevent it from being contaminated. These repairs, and often time total replacements, coupled with sanitation and hygiene training make a huge impact in communities. Rehabilitation is not just fixing a pump - it’s total community re-engagement. There’s only one thing we can think of that might be worse than not having safe water: having safe water, and then losing it because a project fell into disrepair. Rehabilitation often proves to be a big challenge, as many wells have sit idle for years and there is typically little information about the specifics of the well. 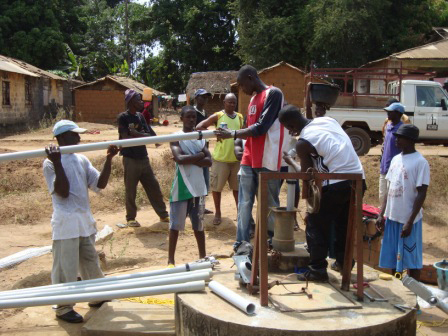 A borehole and dug well rehabilitation involves quite a bit of discovery. First, our teams work to discover as much as they can about the initial project. What materials were used? Was the borehole/hand-dug well properly constructed? Many of these questions can only be answered by diving in, and doing “the work” which makes up a rehabilitation. Once our teams have found the problem, they find the solution. Then, they reconstruct the well and install a hand pump. Engagement and training with communities takes into account rehabilitation was needed and alters the program to suit the needs of the community. After all - engaging with this community in the same way which led to the initial, failed project will not bring new results. Our teams work to understand the social and support reasons leading to initial failure, and make those areas a focus of our ongoing engagement with communities. 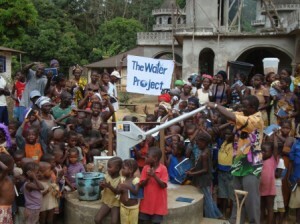 Sustainable water projects only occur through the presence of local leaders. The Water Project identifies, develops, supports, and partners with local organizations who share our vision of reliable and verifiable clean water. Together, we build water programs that include responsible community development, lasting local solutions and ongoing monitoring and resolution. 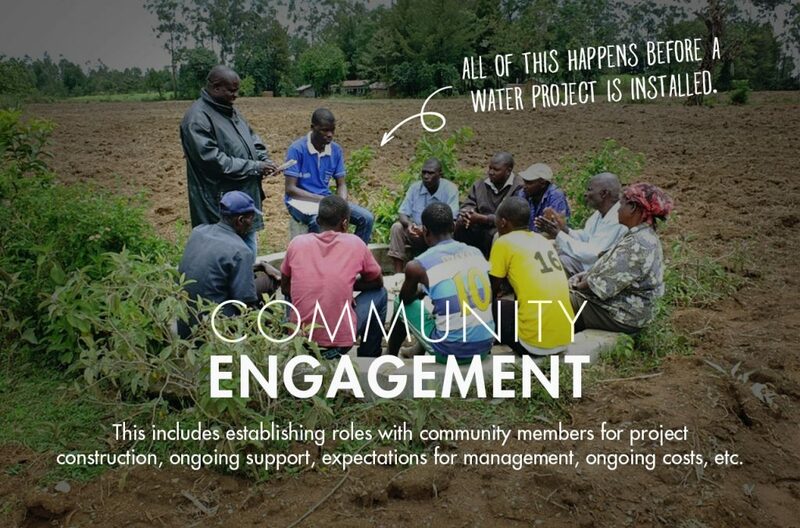 Community engagement is at every step of a water project. Our engagement is rooted in relationship and includes involving the community in implementation and ongoing support, setting expectations for water point management and ongoing costs, etc. All of this happens before a water project is installed. We use a term called ABCD: “Asset Based Community Development”. This means the community gets a leading seat at the table. Before we seek to bring anything into the community, we first seek to understand and utilize the assets that already exist within the community. 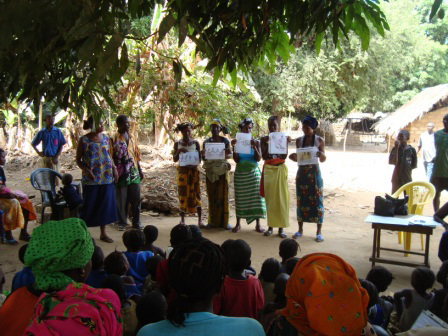 Community education and self-discovery about hygiene and sanitation concepts lead to improved health. Improved health is always the goal. 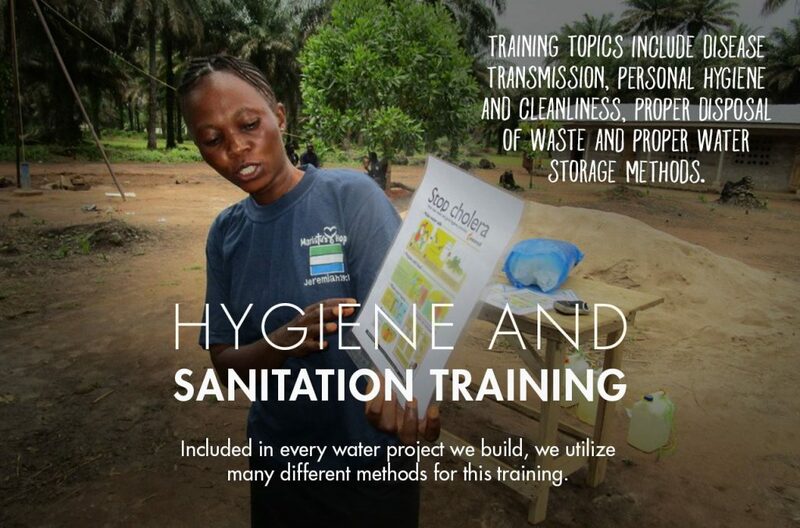 This is why all our projects include hygiene and sanitation training. We utilize many different methods for this training, depending on the community/institution, program and country. Training topics include disease transmission, personal hygiene and cleanliness, proper disposal of waste and proper water storage methods. Water isn’t a pump. Water is a service. And, it must be reliable. The known benefits of water are ONLY true if water can be counted on, over time. 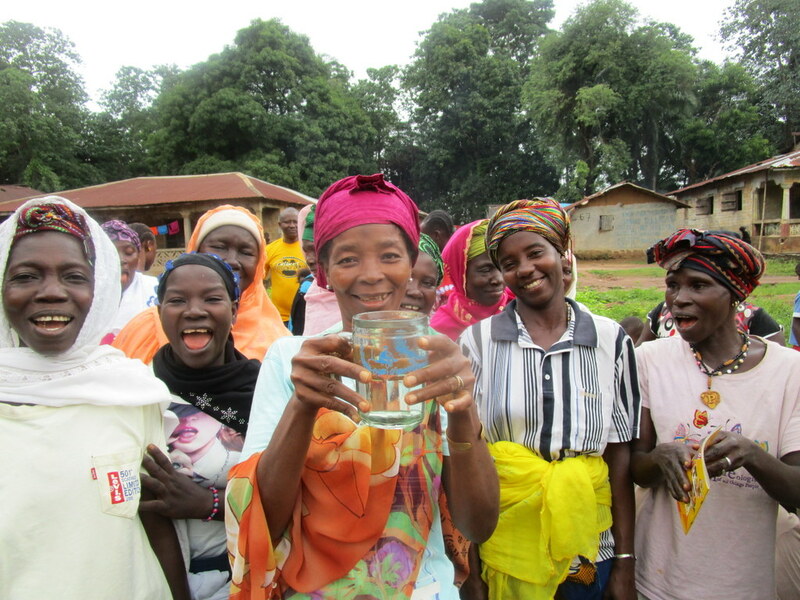 We love celebrating when a project is complete and a community has access to clean, safe water. However, the ongoing service of water - making water reliable - is how we know our true impact. The Water Project continues to monitor our water projects, and we provide continued support to make sure water service continues for communities. Past water projects and the communities they serve are just as important to us as anything else we might be doing in the future. To learn more about how you can help with ongoing monitoring, evaluation and resolution, read about our awesome monthly members. We’re working hard to make sure your gifts result in a lasting water project for the community it serves. Our engagement with a community begins many months before construction and lasts years after construction. 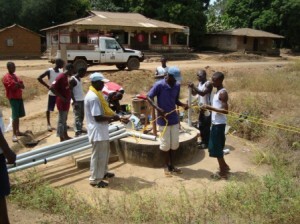 The timeline here is focused on the physical construction of the water project. There is also training and engagement work that has already started. Water project construction in the developing world is hard work. A lot of things can and do cause delays - which are normal. We attempt to make our best judgment of when construction will be complete, but the circumstances surrounding actual "in the field" conditions are far from our control. Weather, supply availability, government paperwork, and progress of community involvement are just a few of the variables that can delay (and sometimes speed up) a project's completion. We will always tell you if anything changes. And, if you get a notice like this – it’s actually further proof your gifts are being carefully used towards a water project that lasts. Click icons to learn about each feature. This project was implemented by another partner, but is now monitored and maintained by The Water Project together with Mariatu’s Hope. 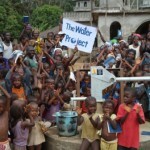 The well rehab was at the central mosque located in Lungi, Mayaya which is in the Port Loko district of Sierra Leone. 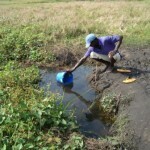 The well was constructed by Oxfam in 1998. It had been spoiled for 7 months. The community was drinking from the swamp. Sicknesses encountered from the water source were dysentery, typhoid and malaria. The old pump was pulled. The cylinder had fallen apart and some of the pipes and sucker rods were rusted together. A new afridev was installed. There was such joy in the community that this well was rehabilitated. Most people in the community earn a living through fishing, agriculture, and petty trading. 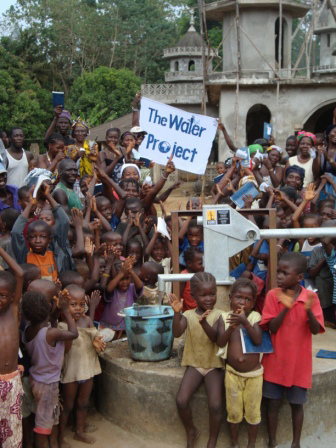 When the project was complete, the community established a water committee and a point person to be the caretaker of the well. It was an incredible hygiene training. While the hygiene girls were behind one of the houses with the ladies, I had a great conversation with about 12 men about their community, hygiene and building native toilets. The sensitizing about feces, flies and rice was eye opening for them. After showing them that, they had many questions about the native toilets. We will do follow up with this community to help them work towards ODF (open defecation free) status. 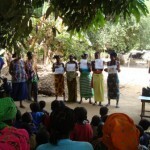 The community was able to be honest about their hygiene practices and come to some very frank decisions. We will continue to work with them, encouraging where needed. There were 53 adults and 60 children who attended this training. The initial project in this community (seen in the reporting found on this page) is a display of our shared commitment to helping this community with first time water access. Equally as important to the community and The Water Project is ongoing support to make sure that water is reliable, day after day, year after year. This is why we monitor all our projects. 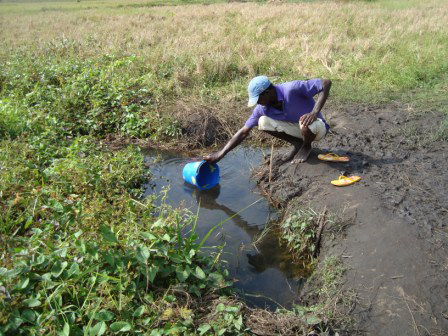 Over time we’ve found that the water table has dropped in this area, limiting the intended benefit of this well. Though not common, this does happen from time to time. Because of our commitment to people in this community (and the lasting impact that our supporters want to make), we’ve drilled this well deeper in order to access a deeper, higher yield aquifer. This work will ensure that clean water is accessible here year round. To see that work, click here.